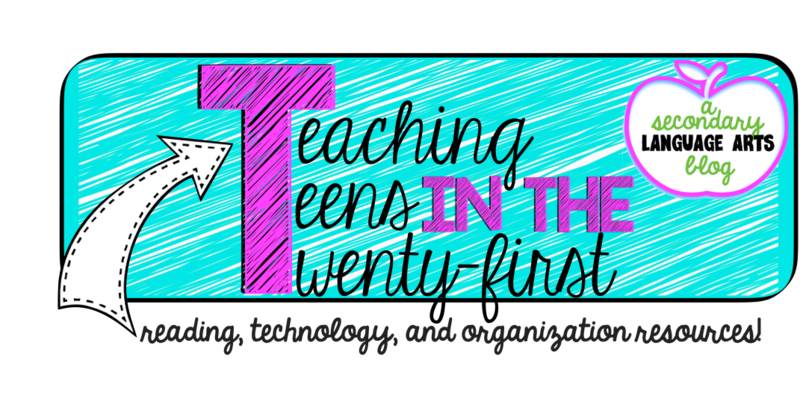 Teaching Teens in the 21st: So unprepared, but here we go! So unprepared, but here we go! So I am finally feeling at peace with the fact that my room is not finished, and it's ok! One of my awesome colleagues suggested we have students help us on Friday during our PBIS day, and it was like the heavens opened up and angels started singing. Genius!! We had two hours today for work time on our own, and guess how much of that time was productive? If you guessed ummm....none of it, that would be correct. So I left, went home, greeted my forlorn puppy, made some quick handouts that I needed to copy, and headed back to school. I was SO much more productive when I got back! I was in and out in a little over an hour, and I'm feeling at least ready to have students enter my room! 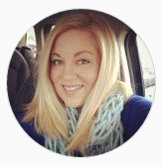 I've been stalking The Literary Maven for a few weeks now, in fact, this particular blog post has been open in my tabs forever! She had the awesome idea to do stations for her first day back, and I just think it's an amazing idea. I get really nervous for no good reason, and I HATE reading through my syllabus over and over again all day while the students sit glassy- eyed. 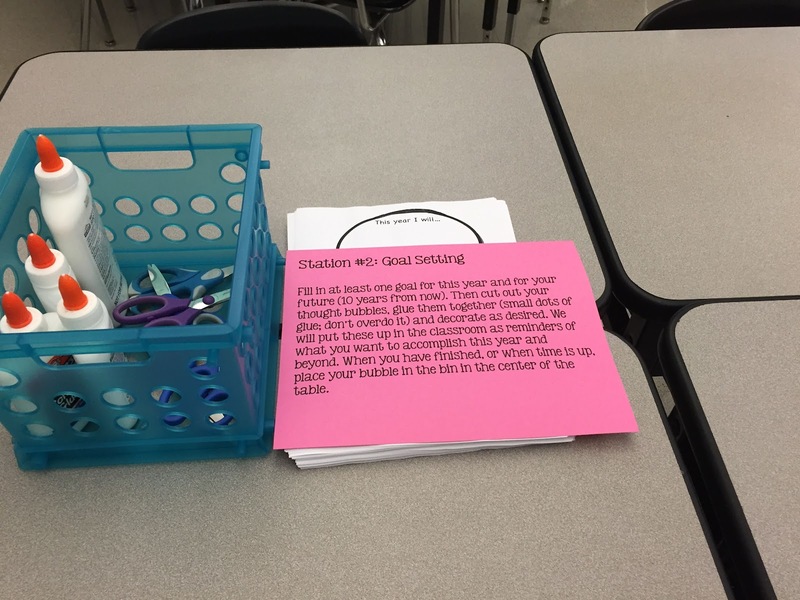 I tweaked her stations a bit to fit my needs, but I'm so excited because her plans fit right in with mine to start off the year with Literature Circles! We have about 35 minutes in class on the first day, so they will have about 7 minutes for each station. Here's Station #1. A scavenger hunt using the syllabus and classroom to answer questions in teams. Station #2: Goal Setting. The Literary Maven provided a link to these adorable bubbles on the blog I linked earlier! This will be great for parents to see at Open House! Station #3: Read Dating. I chose One for the Murphys, Out of My Mind, Schooled, Ungifted, Stargirl, The Pretenders, and Wonder for my lit. circle choices. 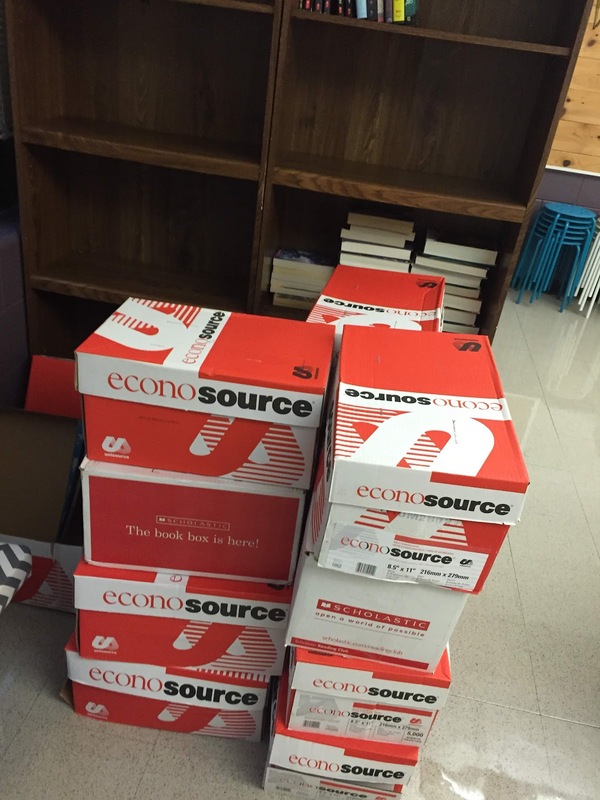 Students will examine the books and rank their picks and turn it in. I can organize lit. circles immediately to begin within the next two weeks! Station #4: Materials Pickup. Students have to pick up their two homework assignments, a manila folder, and copy down the homework on the board and put it in their agenda to have me sign. This gets them used to the idea that I expect them to write down their homework each day. 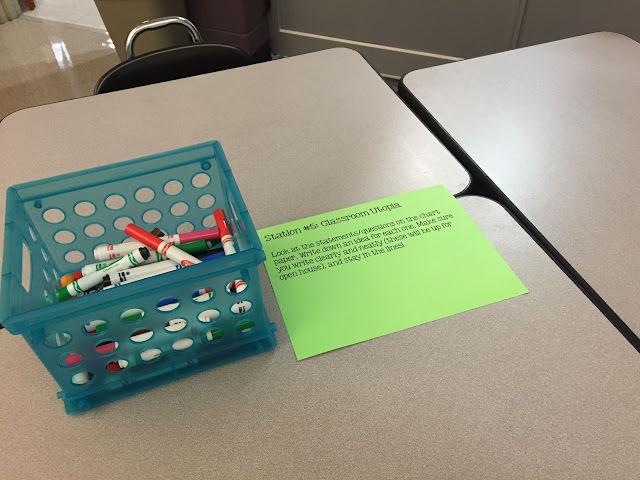 Station #5: Classroom Utopia (questions). 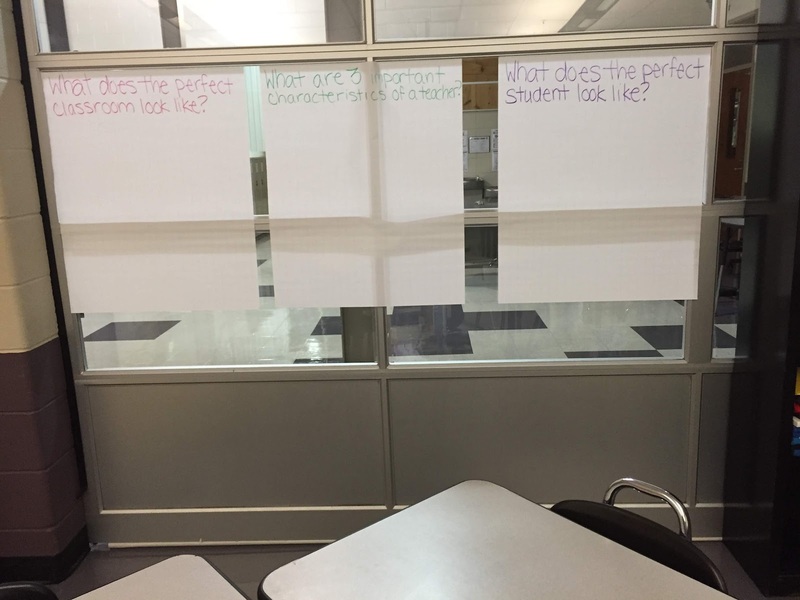 Students will share ideas on what an ideal classroom, teacher, school, and student would look like. Here's my truth time. TWELVE boxes packed full of books that need to be sorted and put on shelves, plus the ones already on the shelves. I'm hoping I can get some students to volunteer to help get these out for me. I could tell when I got home tonight that I pushed it a little too hard today! Here's my homework board and daily schedule (which is still on a to-do list to be printed). I got this chalkboard vinyl from amazon! So here we go! Cheers to all of you incredibly hard-working teachers going back into the classroom! 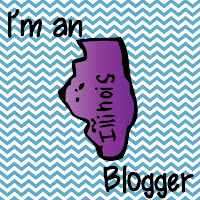 - I'll be blogging on Mondays or Tuesdays each week! 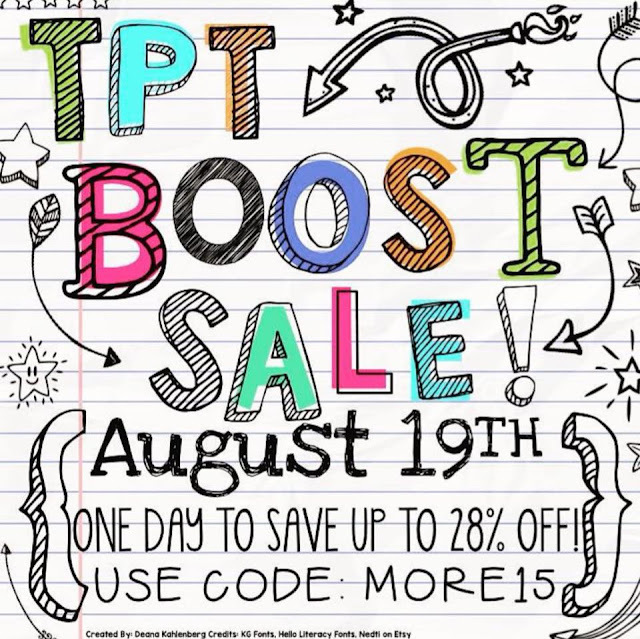 One last thing, TpT is having a ONE-DAY sale tomorrow! Everything in my store will be 28% off, so click on the picture to stop on by! 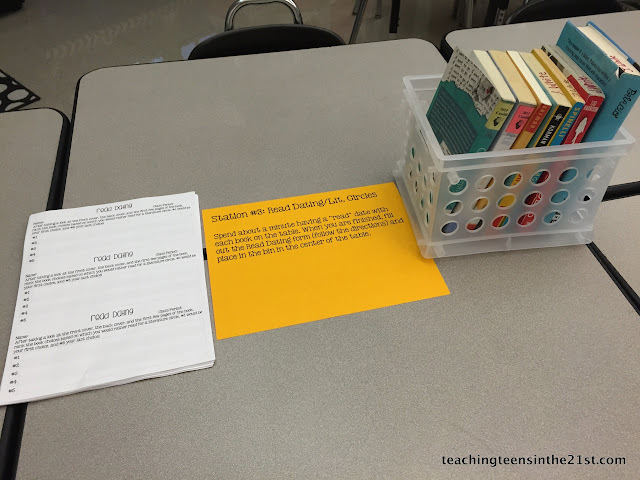 I absolutely love these resources for the first few days of school! 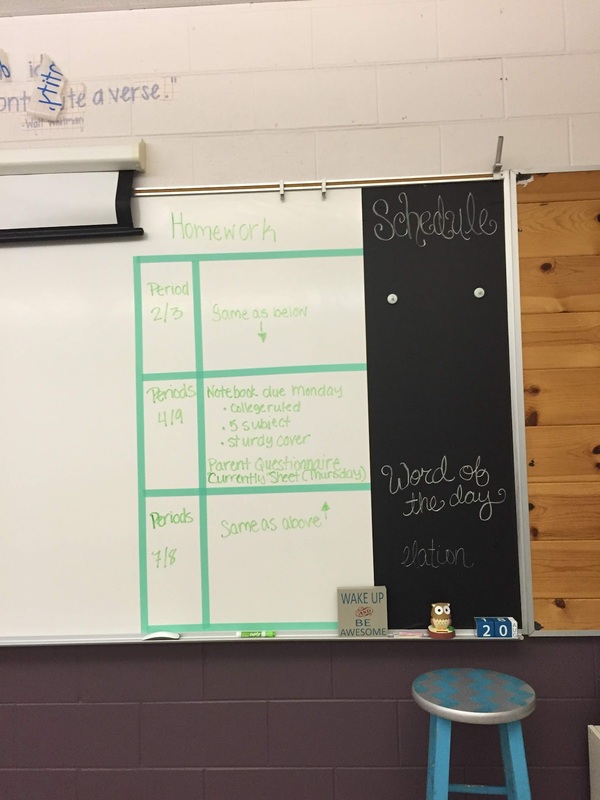 What a fantastic way to get students up and moving while being productive and keeping them engaged! 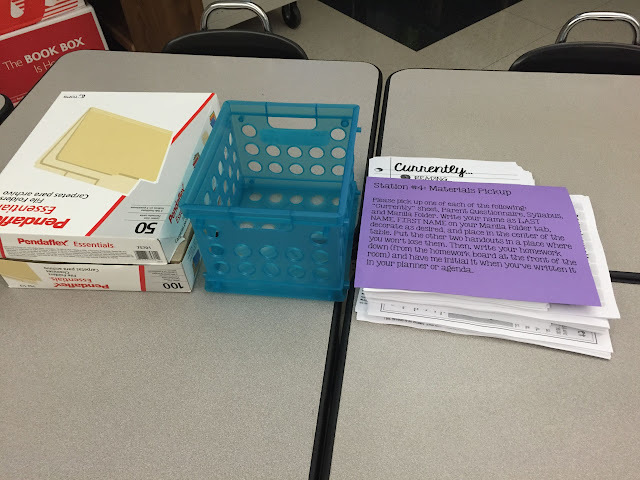 Since teachers are notorious for begging, borrowing and stealing, would it be possible to get a copy of the sheets you used for the stations? These would be perfect after morning meeting in my grade 8 classroom! 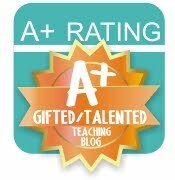 My e-mail is mrslabossieresclassroom@gmail.com and I would so appreciate anything you can send my way. PS. 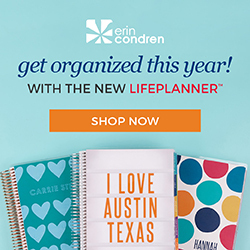 I LOVE your TpT store! 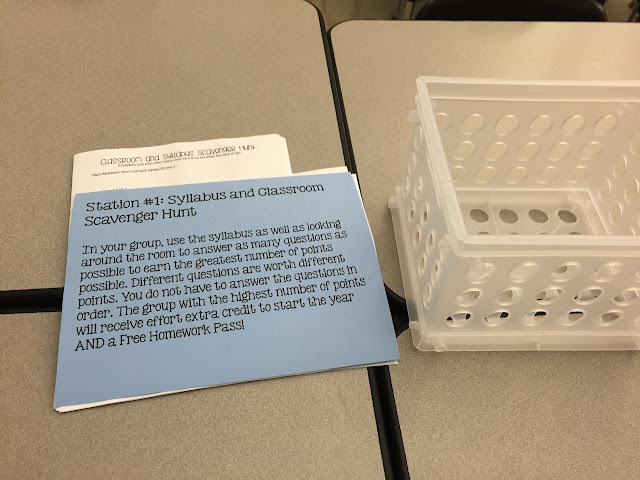 I would also love to get a copy of the sheets, especially the scavenger hunt questions! Thanks! !